The completed volume measurement electronics and hardware. The small circuit board below the pump is a variable DC-DC converter to adjust the speed of the pump, mainly to minimise noise. 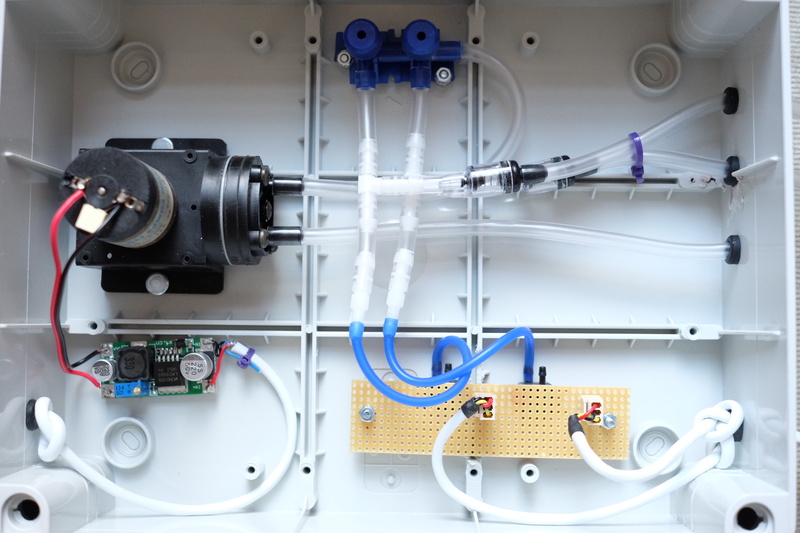 The two blue circles at the top are the gang valves to control the flow of bubbler air, the blue tubes split off and go to the Freescale MPX5010DP pressure sensors. The bottom tube out of the pump is the air intake line – it may require a filter.